Healthy living is the call of today’s society. Everyone wants to live healthy but due to the kind of lifestyle nowadays, it becomes challenging. 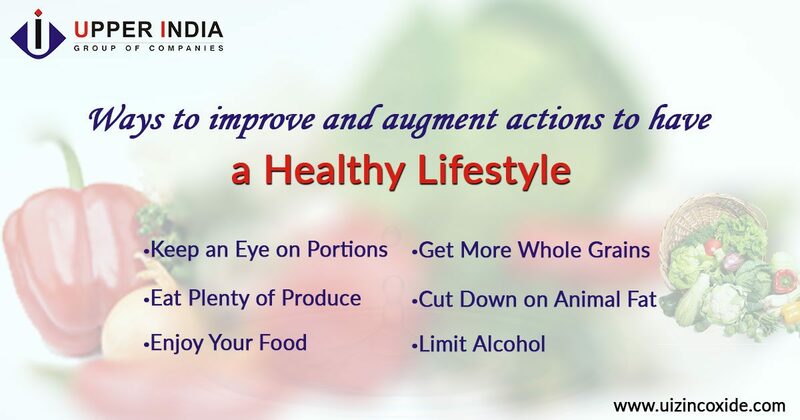 It is important that we target on ways to improve and augment actions in our life to have a healthy lifestyle.Though we cannot always focus on all the components leading to good health but let’s talk about the major ones. In addition to the tips for healthy living, the article will also mention about avoiding actions (the don’ts) that lead to unhealthy living. “Healthy living” not only constitutes the physical health but also mental. A person is said to be living healthy when both these aspects are in balance or functioning well together in a person. Physical and mental health are closely linked, a change (good or bad) in one directly affects the other. All humans have to eat food for growth and maintenance of a healthy body. Developing healthy eating habits is not that confusing or as limiting as many people imagine. Here are certain guidelines for building a healthy diet.Consume VarietyEating a wide selection of foods is the best way to get all of the disease-fighting potential that foods offer.Keep an Eye on PortionsPortion control is the key for higher-calorie foods. Eating mindfully,the chances are less that one will eat foods that the body requires less.Eat Plenty of ProduceInclude green, orange, red, blue/purple and yellow produce. The nutrients in these foods may help protect against certain types of cancer and other diseases.Get More Whole GrainsWhole grains retain nearly all the nutrients and fiber of the grain, so at least half your grains should be whole grains, such as whole wheat, barley and oats.Limit Refined Grains, Added SugarThese have little or no dietary fiber and have been stripped of many nutrients hence reducing their consumption is a wise decision.Cut Down on Animal FatReplace saturated fats with “good” fats found in nuts, fish and vegetable oils.Limit AlcoholIf you drink, do so in moderation. People with certain medical conditions should avoid alcohol altogether.Enjoy Your FoodBe mindful of what you eat, which may help you eat less and enjoy your food more.